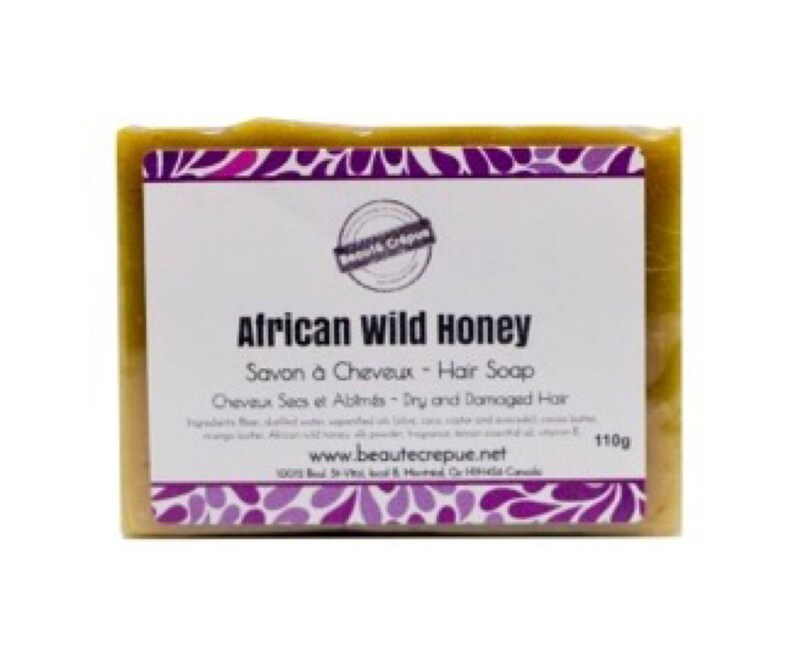 African Wild Honey hair soap gently cleanses the scalp and hair. 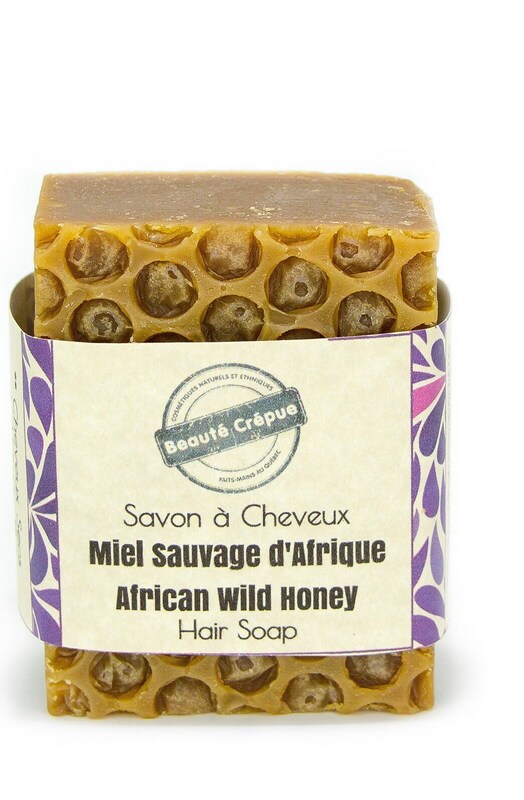 It contains a generous portion of wild African honey and silk proteins to moisturize, fortify, repair and soften dry, brittle hair. Rich in sugars and nutrients, honey is also a true booster of hydration and regeneration. 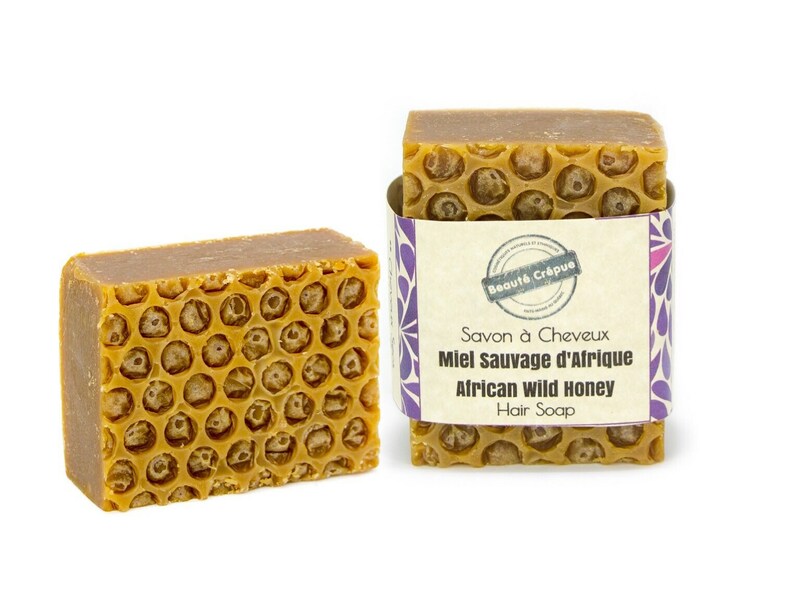 Our wild African honey is a secret of beauty that goes back many centuries. 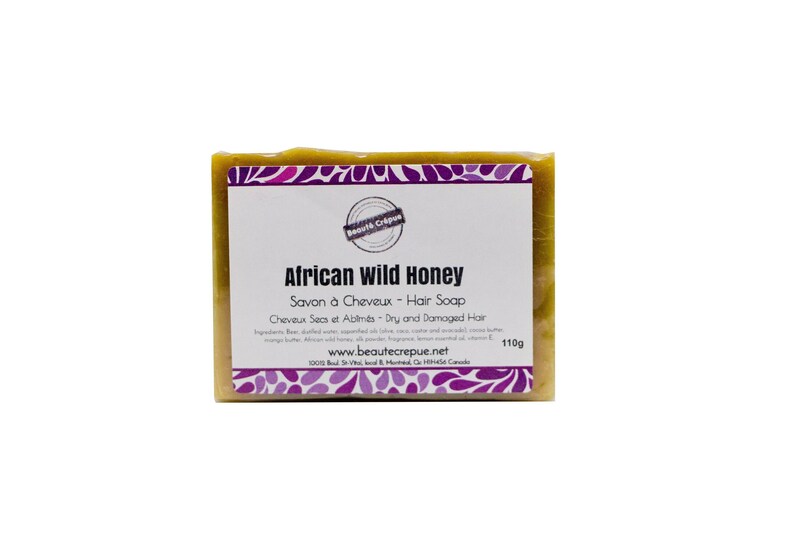 Wild African Wild Honey is 100% natural, unpasteurized, unfiltered and unheated, thus retaining all its natural minerals, amino acids, vitamins, and making it an important ingredient for skin and hair care. This solid shampoo is particularly suitable for dry and damaged hair. It does not dry out the hair. It nourishes and strengthens the hair and makes it healthy, soft and full of vigor. Ingredients: Distilled water, beer, saponified oils (olive, coco, castor and avocado), cocoa butter, mango butter, African wild honey, silk powder, fragrance, lemon essential oil, vitamin E.
'' All our hair soaps (soaps and shampoos) are manufactured according to the method of "Cold Saponification" with ingredients of exceptional quality. Our hair soaps are soft and of exceptional quality. They are also respectful of your hair and scalp. " How to use it?? Very simple ! Wet hair. Rub the shampoo bar on the hair. Lather by massaging the scalp. Rinse thoroughly. Make a final rinse with a solution of rinse vinegar or a solution of lemon juice.